A girl suddenly appeared in the living room of a young boy’s house. The girl was an elven girl that came from another world. That elven girl naturally had no place to go, so she ended freeloading at the boy’s house… An elven girl that became a freeloader, a very ordinary high school boy, and the boy’s childhood friends come together as the elven girl gradually gets used to another world. 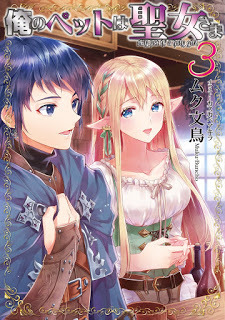 Centered around an elven girl that came from another world in an accident, a heart-warming everyday life story with an elf began. Why is this novel recommended on so many novel's pages?? How can a story with only 16 short chapters translated deserve so many recommendations across such a wide range of novels?? After reading the available chapters, I can only guess someone is going out of their way to get this novel recommended on as many other novels as possible just for kicks. A typical dense retard MC who doesn't even know wtf an elf is, thinks it's the name of an alien star where she's an alien who came on an alien spaceship. What. The. F**k. Even though she looks like an elf wearing leather armor like an adventurer and all, and he even saw her pointed ears. It practically screams fantasy, no where is it anything close to sci-fi. This right here, what's seemingly a minor thing, is an early warning sign about the MC... more>> and story, already enough to deduct points. It's just the Author ideas are good but the Characters are very bland. It's the same with My Pet Holy Maiden (with superficial characters.) Though it's Entertaining, that's all there isn't to it. You can easily get bored with this since it's predictable... Obviously Aoi isn't the best girl here. I don't have much to say since everything been said if you scroll down but.. the Dad pretty much Coerced them to make her an Idol. Which is pretty stupid logic. It's like the Author ring to keep it Realistic and... more>> Drama while ignoring the Fantastical aspect of it as much as possible. Nothing really planned. Just short and entertaining but boring at times.